Three people were shot dead and five others injured after a gunman opened fire on a tram in the Dutch city of Utrecht on Monday morning, according to authorities. A suspect was arrested later that day after a massive manhunt was launched for a 37-year-old wanted in connection to the attack. The city of Utrecht raised its terrorism threat to the highest level following the shooting. French President Emmanuel Macron is considering banning protests on the Champs Elysees following violent yellow-vest demonstrations that saw vandalism and looting in Paris over the weekend. 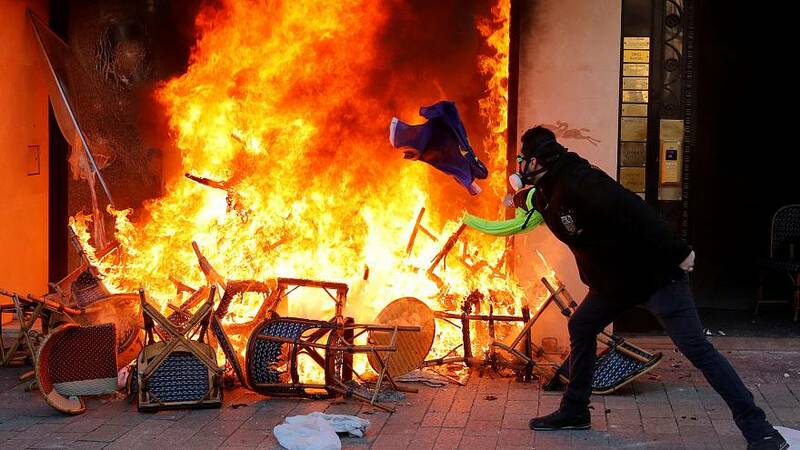 Prime Minister Edouard Philippe took an even tougher stance, warning that, "From next Saturday, we will ban 'yellow vest' protests in neighbourhoods that have been the worst hit as soon as we see sign of the presence of radical groups and their intent to cause damage." European Union leaders will gather in Brussels on Thursday to discuss whether the UK can delay its departure from the bloc. Following a string of Brexit votes last week, British lawmakers voted to extend Article 50. This postponement, however, cannot proceed until the EU27 leaders confirm the extension. EU Council President Donald Tusk has urged other EU leaders to allow for a delay of Article 50, tweeting that he will appeal to member states "to be open to a long extension". EU leaders are scheduled to meet on March 21 to discuss the extension deal.